In 2016, Governor Larry Hogan initiated an emergency order to change the school start date to after Labor Day in the State of Maryland. ANNAPOLIS, Md. — In 2016, Governor Larry Hogan initiated an emergency order to change the school start date to after Labor Day in the State of Maryland. Governor Hogan says it allows families to get more out of their summer and to help tourism around the state. 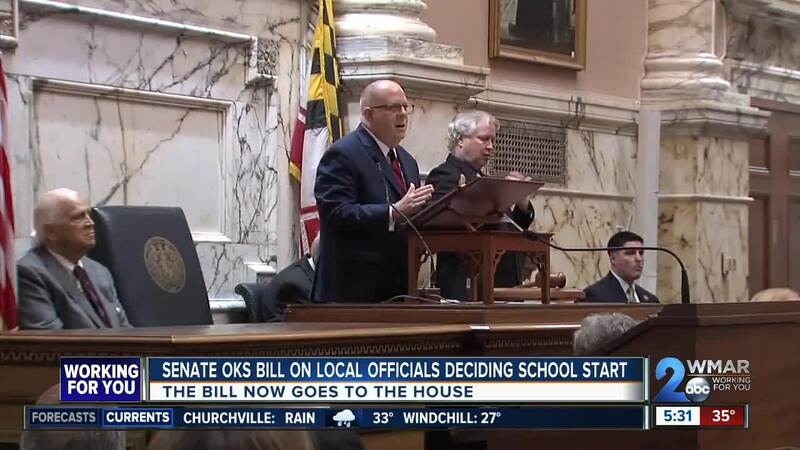 There was some push back from Democrats that Governor Hogan stepped over his boundaries to change the start date of schools. Senator Paul Pinsky sponsored a bill that will allow local school boards to choose their own start date.
" think you want a full fledged conversation of if we shorten the school year it means giving up 'x' or 'y' and I think school boards are the best place to do that,” said Senator Pinsky. Governor Hogan said he has received a lot of positive feed back from the public about the later starting date. 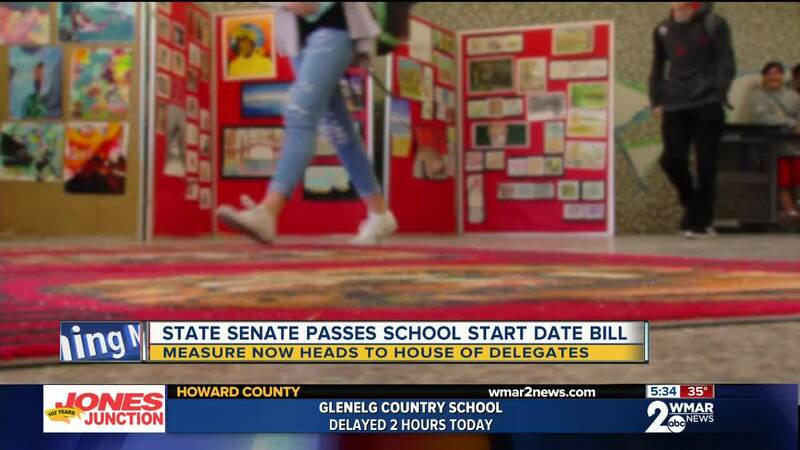 He has proposed compromise legislation to require voters to decide the issue in jurisdictions where there's a push to move the school start to before labor day. Some say the negative feedback with the start day was from the Teacher's Union because this took away some in-service training days during the school year. Senator Stephen Hershey described the measure as a political dig by the Democrats against a Republican governor. “If we're going to talk about the intellectual honesty of this legislation, then we ought to talk about what it is. This was a clear shot to Governor Hogan. Governor Hogan has been very popular, re-elected, has come across with some great ideas and things he's been doing and this is one of the most popular things that he's done and they are clearly taking a shot at him, ” said Senator Hershey. Senator Pinsky's bill passed the Senate on Tuesday along party lines by a margin of 31 to 13. The bill now moves over to the House where Democrats hold a super-majority.